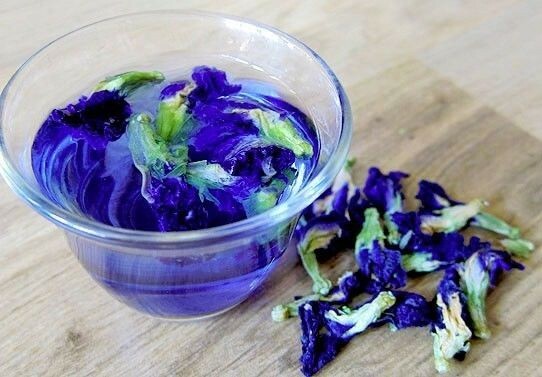 Butterfly pea: A flower plant towards immortality! Flowers are the most beautiful part of the plant. They are beautiful, auspicious, fragrant, attractive and colourful; all these properties makes them so special that even a flower which is grown on a thorny plant; becomes special. Flowers symbolize happiness, grief, friendship, new-relationship, goodness and attract positivity towards them. In every auspicious occasion; like weddings or kind of special function which needs decoration; flowers are promptly used. 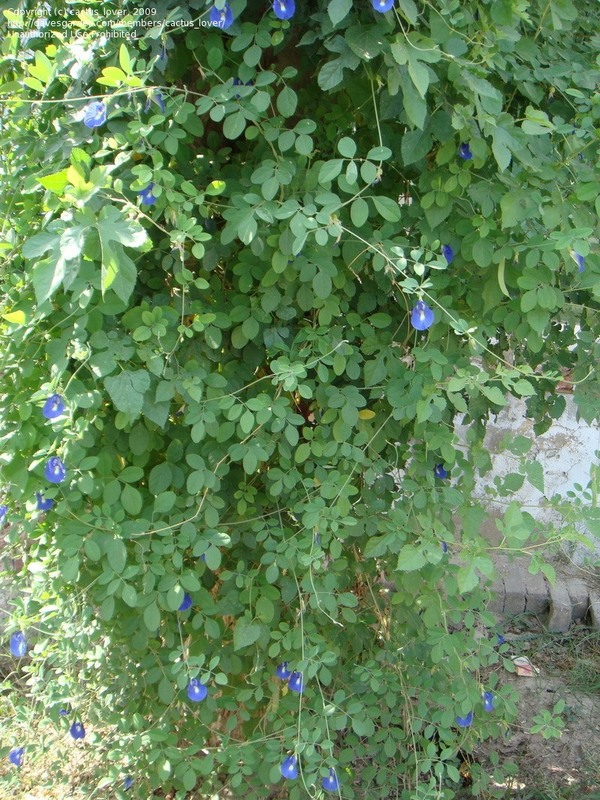 It is a soft creeper plant which bears either white or blue coloured flowers. It is grown as an ornamental plant in gardens, houses, hanging plants etc for a pleasing appearance. The plant bears pod and flowers mostly during the rainy season. It bears leaves which are typically round in shape; from the node, it grows a bunch which bears 3-4 pairs of leaves. 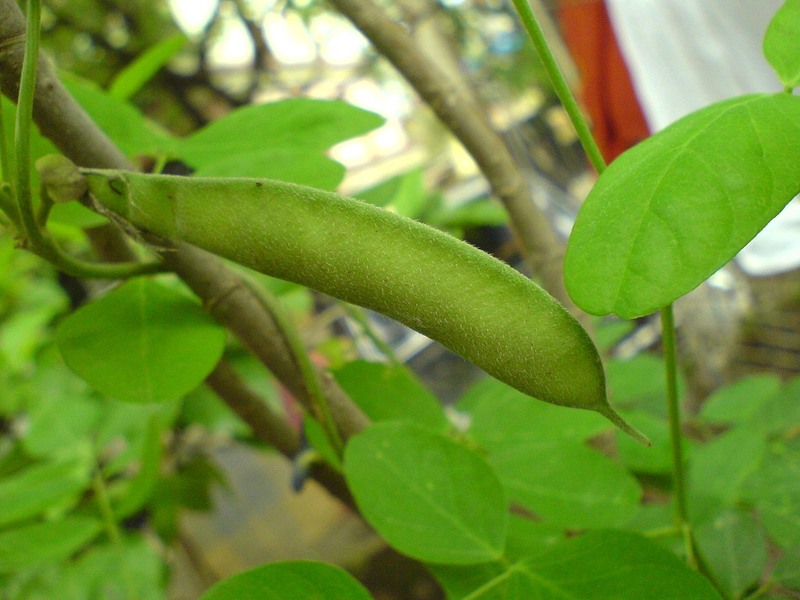 The fruits are like pea pods which are flat and long. It has smooth seeds similar to the black gram. 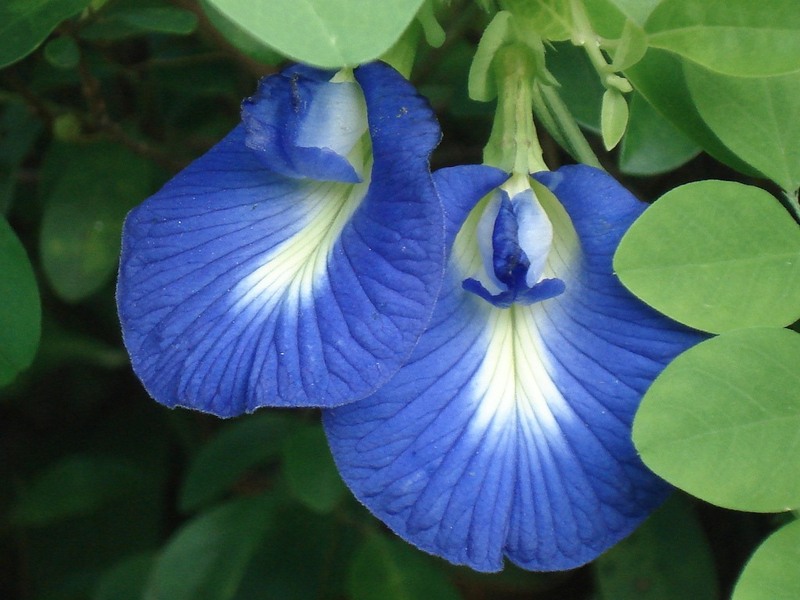 Butterfly pea; by the name, it resembles like the pea of the butterfly. Well, it’s not so as its name spells! Butterfly pea belongs to kingdom Plantae and “Papilionaceae” family. Its binomial name is Clitorea ternatea. In Hindi, it is called Aprajita or Koel whereas in Sanskrit terms it is called Ashwakhura, Adikarni, Vishnukanta and many more. 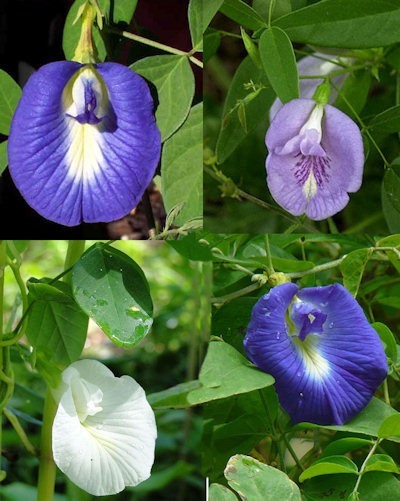 There are multiple uses of Butterfly pea and its flowers. Firstly, they are meant for ornamental and worshipping uses. It is mostly offered in Lord Shiva worship as a religious significance. Herbal tea is also prepared using blue coloured flower as it has numerous medicinal benefits. In Malay cooking, the aqueous extract of colour is used to colour glutinous rice. The coloured flowers are used to prepare drinking solutions and liquids. Give 1/2 gm powder of the roasted seeds of Aprajita with warm water twice a day. It helps in curing Jaundice and rickets in children. In Jaundice, give 3-6 gm root powder with buttermilk. Take 5 gm bark of white butterfly pea; or take its leaves and grind them in goat’s milk. Strain the milk and give it to the patient with honey. It helps avoid natural abortion and that too without any pain. For boils, prepare a paste of 10-20 gm of its root with vinegar and apply on the boils. The boils burst and start healing. Prepare a paste of 10-20 gm of roots with water. Heat the paste and apply to the affected area. Or, prepare a cake of the pulp of 8-10 leaves and apply on the affected area. Give small amounts of its root’s juice to the patient. It is also beneficial to cure a dry cough in children. Put 4 drops of seed extract in the nose. It cures migraine in immediate. The seeds are cool and anti-venom; take equal quantities of its roots and seeds. Form a paste of these with water. Give it to the patient. It cures migraine.